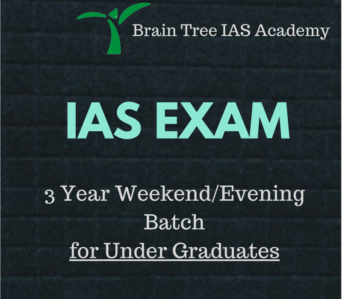 Brain Tree IAS Academy is one of the Best and Top Academy / Institute/ Center in Chandigarh providing Best IAS/ UPSC coaching for last 10 years. Through our best coaching and good quality mentoring we have produced AIR 5th Rank in IAS 2017, 89th in IAS 2016, and other IAS/ PCS/ HCS/ HAS Rankers. Our aim is to become a genuine best civil services Center/ Academy of this region which nurtures/ groom/ prepare its students very well. 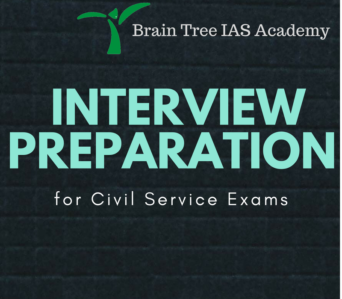 The educational qualification needed to appear in UPSC CSE is a degree (graduation) in any subject. Final year students can also apply. 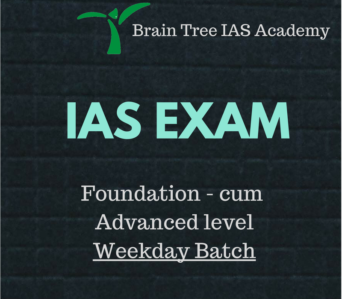 The IAS exam 2016 notification has come and the last date of online application was on the 27th of May 2016. The date of prelims exam is 7th August 2016. The next exam will happen in 2017 around the same time. IAS being an ‘All India Service’ follows the Cadre system. In this system officers are allotted to state cadres, not necessarily to your home state. So for all practical purposes you belong to that state service but may be deputed elsewhere in the country. However you’ll always be recognized by your allotted state cadre. 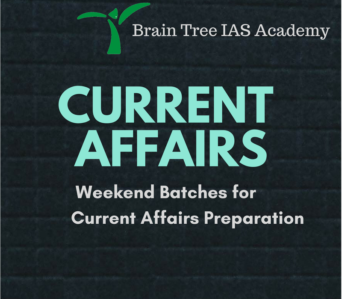 This system though very useful tends to positively and negatively affect the careers of an IAS officer. The cadre system is allotted on a basis of lottery and only the toppers of each state may get a chance to serve their home state if they have opted for such a preference.